As part of my job as an image consultant, I work with businesses to help their staff understand what is appropriate to wear to work, and why. Often it’s the why that people have forgotten, particularly with the casualisation of dress codes. The result is often sloppy or too relaxed and casual. So what should you think about wearing to work? It all depends on what is appropriate for your industry and work place. But think about each of these elements and what they are communicating to your colleagues and boss. 1. Structured clothes say professional – the structure of a tailored jacket, a collard shirt and tailored trousers or skirt tell the world you mean business. We don’t wear them to clean the car, mow the lawn, or play with the kids on the floor. A suit in a darker neutral colour tells the world that you’re not about to take stupid risks. It says that you are responsible, organised and successful. If you don’t work in a formal environment you don’t have to wear a traditional suit, but do think about wearing clothing that has similar properties – add a jacket or wear a crisp cotton shirt with a pair of tailored dress trousers for a smart appearance. Casual Friday can be a difficult one to pick what to wear. Ideally, still keep some structure in your clothing, you don’t want to look sloppy (it says you’ll do a sloppy job). Just make the fabrics less structured and more relaxed and comfortable. 2. Colour – Darker colours are more professional. High contrast light and dark together says authority. All over lighter colours will take away some of your personal power. Think about the colours you wear and what they subliminally tell everyone about you. Bright colours with dark colours say that you are dynamic and not afraid of being seen. 3. Patterns – Stripes and geometrics are a masculine pattern and are seen as more powerful and professional. Florals and spots are a feminine pattern and seen as more nurturing and less ambitious. Abstract prints are creative. Animal prints are more dramatic or non-conventional in the workplace, which is OK if you work in a creative environment, but not so appropriate in a bank! 4. 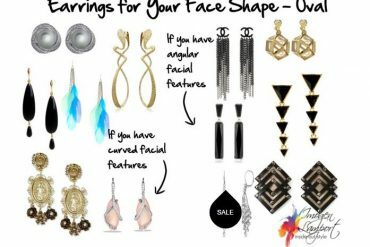 Accessories – smaller more discreet metal based jewellery is seen as more classic and professional. Larger, more sparkly or coloured jewellery is says fun. Depending on your workplace, be aware of the jewellery you are wearing and how it can be interpreted. Noisy, jangly or clanky jewellery can be distracting for your co-workers. 5. Shoes – Slimmer soles, leather and finer details are more professional and are the same level of refinement as your more formal work wear. Thick soles and chunky shoes are a lower level of refinement and more appropriate for a casual environment and outfit. Women’s toes should generally be covered by their shoes if men are wearing suits to work. Plus, you don’t know who has the toe fetish in your office. When figuring out what a piece of clothing means – think about it’s origins. Jeans were from the working man (blue collar). Sneakers from the athlete (ready to run away). Bows are from presents (unwrap me). Animal prints are from the pelts of animals (how dangerous are you?). Structured clothing were from the courts (places of power and formality). Each piece of clothing has an ideal location and use. Mixing them up can send mixed messages or make you seem unaware of what you are communicating. We are treated how we are percieved. We are paid on not-only our performance, but the perception of how great we are. Numerous studies have shown this to be true. If you present a more professional and successful appearance, and you do a great job, doors will open for you and positions of power will be offered to you. If you present in a more casual way, you’ll find it so much harder to get through those doors as others are finding your image incongruous with what you may perceive as your abilities. If you want that promotion it’s time to take a good hard look at what you wear to work and the messages it sends. If your clothing looks cheap, we assume you’ll do a poor quality job as you do not look like you care about quality. Quality is about fit, fabric and construction. Good quality fabrics in designs that fit and flatter your body (yes, you will probably need an alteration or two) in a well constructed garment (no loose threads, hanging or lost buttons, hems half undone etc.) will make you look higher quality. We assume when we see someone who is well presented that they won’t accept the bottom of the pay scale as they look like they value themselves, so therefore they have higher standards and therefore should be entitled to the top end of the pay scale. There is always a balance between expressing our personality through clothing, and toeing the dress code line. If you can learn to express your personality through your clothing but still be appropriate you will have the most success as you will appear authentic as well as professional. Previous articleWho are Your Style Favourite Bloggers? It drives me crazy when I see students/techs show up in the lab wearing pajamas. Seriously? That doesn’t say causual that says “I am too lazy to even get dressed”. At least put on a real pair of pants. We are supposed to wear long pants/skirts and closed toed shoes for safety (basically be covered from the waist down). Yet I see numerous people running around in shorts and sandals. To me that projects the message “I’m too stupid to even follow the simplest of rules but hey trust me with this sensitive piece of expensive equiptment!” I’ve kicked people out of my lab for their attire and they truly don’t understand what my problem is. Since I work in a lab it’s a pretty causal environment, you don’t wear your best suit to get splattered with bodily fluids. It’s not that hard to throw on a pair of jeans, a tee shirt and closed toed shoes of any variety. If you can’t even accomplish that much what does it say about you? I love this – and they wonder why you won’t let them in! It’s not like you’re asking a lot of their dress sense! Some people just don’t understand the why…one day when they’re older they may and they’ll realise all the opportunities they missed out on. No kidding. Everyone has to take a lab safety seminar and right at the beginning it lists the dress code. If it didn’t involve me getting in trouble I’d let them figure out on their own why you don’t wear open toed shoes/shorts into a lab. But someone has to enforce the dress code and since I run the lab it’s up to me. I save myself time now and drill it into them right up front that if they show up in shorts/sandals I will be sending them home and since they are students that means no pay for you that day. That gets the point across, usually. Excellent post Imogen. In the Sydney CBD in summer in offices we see rubber thongs on feet and in winter, my own personal favourite of almost anything I’ve seen, a heavy winter coat worn with rubber thongs on the feet. Sydney female office workers do need a wake-up call: old, worn, mismatched bags; messy hair; too-tight clothes. What a contrast to what you see in the Hong Kong CBD. Ladies in elegant dark neutrals, good fabrics and good design, shiny hair and excellent accessories, which are not necessarily expensive but might have been bought from a nearby stall. In addition to the things you mention about the benefits of a professional appearance, dare I mention the age-old issue of females in the workforce and relating to male co-workers professionally. A tailored appearance says “work” and “responsibility” and sends a message that you are at work, not a BBQ or socializing casually. You can have a relaxed manner and be friendly, but your appearance says that you are there for a professional purpose. There are many badly dressed women around sadly. One of my pet hates is people who use those green shopping bags as a handbag. Thank you for another incredibly helpful post, Imogen! The way you break topics down and give distinctive visual examples allows me to grasp tools I hadn’t understood before. I also enjoy how you teach us how what we wear is perceived, and learning in this post about the origin of categories of apparel and how they still affect perceptions today was neat. Is there a way to dress like Level 1 refinement without heels / sleek dress shoes? I am rather limited to the thick/chunky/clunky shoes due to difficult feet, which perhaps other readers struggle with as well? My own inability to find sleek, traditional women’s dress shoes comes from needing extra-wide shoes, a wide and deep toe box, and enough depth in the shoe to fit custom orthotics and a 1/2″ lift in one shoe (for leg length discrepancy). As such, I am extremely limited in my shoe choices and often have to put up with leather but thick &chunky shoes (sometimes men’s shoes even) for my dress shoes. I finally found one pair of low heels that I can wear for a short time, but as they don’t allow room for my orthotics or lift, I’ve found that I can only wear them when I am sitting rather than business occassions where I must be on my feet, else my feet, back and hip soon hurt. Thus, if you have suggestions on how to look most professional when your footwear takes your outfit from a level 1 refinement down to level 2 or 3, I would be most appreciative. I will do some research for you and hope to find a solution! Have you tried Wide Steps? Part of the Sandler range: Sandler : B width; Easy Steps: C width; Wide Steps: D width. All available at DFO outlets which are handy because you can just try on lots of styles without bothering a shop assistant. Also discounted because its DFO. Not sure where you live so can’t offer you more suggestions and it depends on the size shoe you take re which brands will be suitable. American stores offer a far greater range for wide feet but you need to have tried on the specific brand before you can tell if it is for you, if you are shopping online. If you advise your shoe size and where you live, I can come up with more possible suggestions as I have a similar requirement – large shoe size in a C fitting. Thank you for this informative and thought provoking post! I work from home and never see another adult unless I Skype. After reading through to the end, I realized I would probably do my career a favor by taking my wardrobe up a notch. I can readily identify various reasons but probably the biggest would be the improvement of personal standards and how that would radiate outward to positively affect my work and, thus, income. Some food for thought for me, yes you’ve got me thinking! Imogen, whats your opinion about wearing dresses that is a little bit too low for interviews/office and wearing them with a camisole underneath? Would you consider this acceptable in a corporate world (like a interview)? I asked this question on a forum recently but only got immature answers like “defeat the purpose” and “frumpy” or accuse the girl is insecure if she hide her cleavage in wrap dresses. :L Im petite plus (average tall but skinny) so many dresses either are boxy and long or properly fitted but too short. I found a gorgerous black wrap dresses that are finally long enough and was thinking about wearing it with a dark colored cami underneath if any interviews show up the future (temporary prep-college student) but loose the cami for night outs. Do you think this is consider professional and presentable enough? A wrap dress with a cami underneath is perfectly fine to wear in most workplaces. Depends on the job that you’re going for as to whether it’s interview appropriate – I generally would advise wearing a jacket to a job interview as it says ‘professional’ in a way that a dress never would. There is absolutely nothing wrong with covering your cleavage – ever! In fact in a work environment I’d say it’s mandatory. I don’t think that covering cleavage says anything but business and that you know what is appropriate for the situation. You know that showing too much cleavage at work is not the right thing to do. It certainly doesn’t say that you’re insecure about your body!